After the weather dictated play at Pebble Beach, and forced a Monday finish, the Tour will hope for less of an interruption in Pacific Palisades this week. The Genesis Open, formerly known as the Northern Trust Open, Nissan Open and Los Angeles Open, this is an event steeped in history, which has been held at Riviera Country Club, for 56/88 renewals. It has been held at Riviera every year since 1999, so the players in the field this week know exactly what to expect from this event. 2017 champion and two-time runner-up Dustin Johnson is going off as a +900 favorite at the Genesis Open, considerably shorter than second-favorites Justin Thomas and Rory McIlroy at +1200 as we could confirmed with Sascha Paruk from Sports Betting Dime. It’s hard to get behind DJ at that price, despite his past success here; he hasn’t won a tournament since last July and just finished 45th at Pebble Beach. When he won in 2017, he was coming off a 3rd at Pebble Beach. Defending champion Bubba Watson, who also won here in 2014 and 2016, is much better value at +2000. He’s in a similar drought as Johnson (his last win was in June 2018), but his past triumphs at the Riviera CC have never been presaged by a run of good form. It has been the popular opinion that distance is highly advantageous here, as players are going to be in the rough a fair amount this week, so having the strength to advance the ball is obviously advantageous. When looking at a recent winners list that includes Dustin Johnson and Bubba Watson, you could make a case for that being true here, however the likes of James Hahn and John Merrick have also won in recent years ranking 50th and 20th respectively in Driving Distance the week they won. 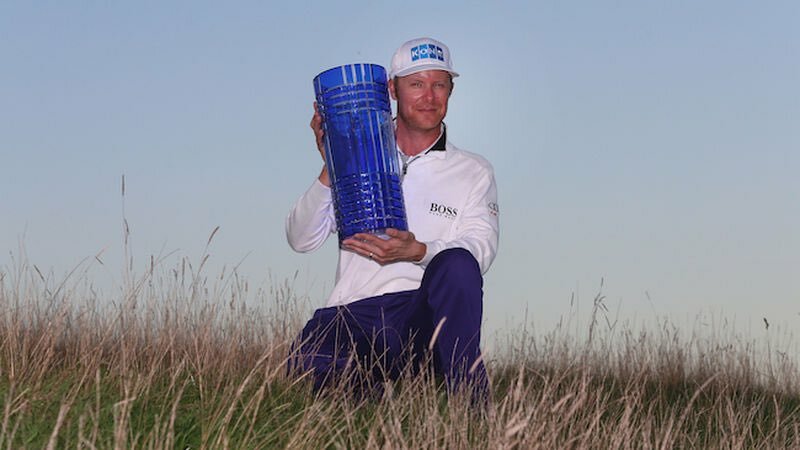 Whilst Watson ranked 1st in 2014, and Johnson the same in 2017, Watson ranked just 18th in 2016 and 21st in 2018 and still won, so there is more to winning here than just overpowering the course. The average Driving Distance ranking of the last six winners was 18.5, which suggests you do need to be towards the top of the field in that respect, but again Hahn proved it isn’t always the case. Generally speaking, the key to success here is to hit plenty of greens. The last 10 winners average a ranking of 14.9 in Greens in Regulation the week they won. Of the last ten, only three winners (Haas, Hahn and Merrick) have won at Riviera without ranking inside the top-10, with Haas significantly affecting the average, ranking 58th in 2012. 5 of the last 10 winners have also ranked inside the top-10 in Scrambling the week they won here, with all but one ranking inside the top-20 (Mickelson 29th in 2009). If you miss a Green this week, you best scramble well, but ultimately the key is to find the putting surface straight away. Xander Schauffele has been in fine form this season, with two wins worldwide already, and if Bryson DeChambeau wasn’t playing as well as he is, there would probably be a lot more talk about Schauffele’s season so far. Schauffele kicked off the season with a win at the WGC – HSBC Champions event in China, before starting the calendar year in Hawaii with a bang, at the Tournament of Champions. The talent has always been there for Schauffele, who won twice in his rookie season, and has finished inside 5th in consecutive U.S. Open’s, but this year he seems to have found a new level of consistency to go with this ability. He has not yet finished outside the top-25 this season, with his T25 finish at Torrey Pines his worst effort so far, and it is this result that we can perhaps take the most from. In three previous starts at the Farmers Insurance Open, Schauffele had missed three straight cuts, so to make the weekend this time and finish towards the top of the leaderboard is a reflection of his form and belief this season. The American overcame a disappointing second-round 72 in Phoenix last time out, shooting 67-68 over the weekend to finish T10 at the Waste Management. That made it three rounds of 68 or better that week and something similar this week could see him right in the mix here. Schauffele made his debut in this event 12 months ago, and finished an impressive T9, getting better as the week went along, with rounds of 71-70-68-68. Shooting par or better on your first go around Riviera is no small feat, and given his current form he can expect even better this week. His form coming into this event last year read 17-MC-32-22, whereas this time around it reads 10-25-1-8, so my guess is he takes another step forward this week. Winners of this event are often major champions, whether they win here before or after they land one of the four coveted titles, and a win this week could give Schauffele the boost he needs to go on and win his first this season. At 25/1 I think he represents the best value in the field this week. He may have had a terrible fortnight, coming under extreme scrutiny for his disqualification in Saudi Arabia, but Sergio Garcia will switch his focus to the test in front of him this week, Riviera. This course is the typical type of classic test that Sergio loves, and that has shown with three top-6 finishes since 2007, including 4th place finishes in 2012 and 2015. In 2015, he fell one shot shy of the three-man play-off, but was in pole position to win, before making a mess of 17 and 18. He bogeyed the par-5 17th, which is a birdie hole and one of the easiest on the course, before pulling his tee shot on 18 to surrender his chance of victory. Since throwing it away in 2015, Garcia has played here twice, finishing 49th and missing the cut but his previous course form should not be ignored and his current form before his distasteful disqualification at the Saudi International was unbelievable. The threat of missing the Ryder Cup saw Garcia finish T24 at the Wyndham and T7 in Portugal, and on his first start after Paris, he won his home event at Valderrama. In his five starts after winning, Garcia never finished outside the top-9 and finished runner-up on his very next start at the Nedbank, so his game is in fine shape. If he can shake off the green destroying debacle that is hanging over his shoulders currently, Garcia can certainly contend here, and I think any doubts are factored into his generous odds of 50/1. Adam Hadwin has been in solid form this season, despite a mixed 2017/18 season, and he will keen to add to his sole PGA Tour victory, which came at the 2017 Valspar Championship. The Canadian has finished T10 at both the CJ Cup and Mayakoba Classic, as well as finishing T2 at the Desert Classic three starts ago, an event he loves. All in all that makes it three top-10’s in eight starts so far this season, which is a fair return. Last week at Pebble Beach he took two strokes too many to make it a 50% top-10 strike rate so far this season, and this form leads me to believe another strong week at Riviera is on the cards. In four starts around Riviera, which is one of the tougher examinations on Tour, Hadwin has never missed the cut and has finished T22 or better on three occasions, with a T34 finish in 2017 his worst effort. He bounced back in 2018 with his career-best here, finishing in a tie for 6th. A second-round 74 derailed his chances of winning last year, but a pair of 66’s over the weekend were testament to his mental strength and allowed him to finish inside the top-6. Had he have even just matched his opening-round 70 on day two, Hadwin would have done enough to make it into a play-off with Bubba Watson. Obviously that is a serious case of if’s and but’s, because he may not have ever shot the two 66’s if he didn’t need to be so aggressive, or if he was in contention, so that has to be considered also. On the face of it though, Hadwin has solid course form, and he’s in good form of late as well, which is the perfect recipe for success here. Hadwin currently ranks 20th on Tour in Ball Striking which is another great sign, and the 55/1 certainly appeals here. Sung Kang has been in fine fettle for the majority of this season, making seven of nine cuts, including three top-20 finishes. All three of those top-20 finishes have come on his last four starts, with his best effort a T10 finish at the Sony Open. He was also T14 last time out and he will be looking to bring that form over from Pebble Beach, as he makes the short trip to Riviera. Not only is he in great form, but he also boasts a stellar record at Riviera, where he has made 3/3 cuts and has finished no worse than T22. His best finish was a T8 finish on debut in 2016, and he’s followed that up with T22 and T16 finishes, so he clearly enjoys the layout. Based on his form both at this course and in general as of late, triple-figure odds with 8 places on offer certainly makes him an intriguing prospect this week, even if he is still winless on Tour. Bud Cauley has made a solid return from his car accident in June last year, which left him with a collapsed lung, five broken ribs and a fractured lower leg. This accident, which there is never a good time for, interrupted what was an excellent spell of form for Cauley, who had made 11 of 15 cuts to that point, despite sitting out the whole of the 2015 season with a shoulder injury. His PGA Tour career has clearly been filled with ups and downs, but he has always been touted as a top talent, and he will hope to vindicate this label with a win. So far Cauley has never bettered his 3rd place finishes at the 2011 Frys.com Open and 2012 Wyndham Championship, but did match those results at the 2017 CareerBuilder Challenge. This season has started pretty brightly considering he was out of action for four months, and a top-10 finish at the Shriners Hospitals for Children Open is his best effort so far. T13 at Torrey Pines and T26 at the Phoenix Open, where he was just one and three strokes outside of the top-10 respectively, shows signs of form over his last two starts. Cauley has made three of four cuts at Riviera, with a career-best T20 finish in 2018, where he was solid throughout the week. He broke par in three of his four rounds last year, but never shot better than 69, so did not go low enough to contend. Whilst his Driving statistics have looked poor this season, he hit over 78% of fairways in Phoenix, where the field average was 66% and he also hit the same amount of greens there. He also bettered the field average 55.36% of fairways at Torrey, shooting the same percentage as winner, Justin Rose (57.14%), and hit the field average 66.67% of greens, so he’s striking the ball well. With this extra year of experience at this course under his belt, plus his current form and no doubt strong motivation to finally find the winners’ circle, I think Cauley makes plenty of appeal at 200/1, with 8 places on offer.